The NOVA RED Light Therapy Machine is perfect for anyone aiming for skin rejuvenation. This sleak handheld device has 660 nanometer bulbs in the head and has optional continuous pulse modes. It’s ideal for tightening and firming the skin on your face. It’s also cordless, which makes it easy to store as well as pack away in a suitcase. It’s rechargeable and can be charged through a USB computer port or a charger. Unlike the device listed above, this product isn’t handheld and it won’t be held directly onto your skin. Instead, the RubyLux Red & Blue LED Bulb can be inserted into most lighting fixtures and voila! You’ve got a red light therapy lamp. The red bulbs are at wavelengths between 640 to 660 nanometers and the blue bulbs are at wavelengths between 400 to 415 nanometers. There are 38 LED bulbs in total and they are all fit snug together, creating a high power bulb. This lamp is ideal for reducing inflammation from acne as well as treating skin conditions such as Rosacea and Psoriasis. The illuMask Wrinkle Light Therapy Mask was created to treat facial wrinkles. The infrared red light mask is intended to be worn for a set amount of time on a strict schedule. The device includes a booklet with 30 different treatments that can be conducted. Not only is the price unbeatable, but it’s FDA approved and harm free. There are no chemicals or UV rays, making this the best way to fight wrinkles. This hairbrush is not only a good price, but it also has wonderful reviews. The Body Essentials Light and Massage Therapy Hairbrush uses 20 energy inducing 660 nanometer LED lights and 184 flexible steel bristles with soft ball tips to help grow the hair you’ve always wanted. The red lights help stimulate hair growth while also creates soft, healthy hair. The simulating massage action is just the right touch this brush needs to take this product above and beyond. This red light therapy lamp was created to effectively deliver infrared heat to the body. The Beurer IL50 Infrared Heat Lamp is equipped with a 300 Watt light behind the heat safe panel. The idea is to use the light weight design and the easy to use adjustable handles to set the lamp up in a spot where you can easily reach sore muscles and joints. The lamp is very fairly priced and has great reviews. A great option! The NORLANYA Micro Vibration Photon Therapy Device is handheld, very simple, and extremely effective. It’s also a very fair price. This device has more than just red light features. It can also swap to blue or green lights. If you’re looking for a Red Light Therapy product, this one is top of the line. The red bulbs and the micro vibration sensation, when held to the face, promote skin cell activitity by stimulating the skin’s metabolism, blood, and collagen. This helps rejuvenate the skin by tightening it, reducing fine lines and wrinkles, and leaving a healthy and young glow. This tiny device is easy to pack away and has an automatic off setting which always comes in handy. This device made by Light Relief provides topical heating to the body in order to relieve muscle and joint pain, soreness and stiffness. The device warms the area by applying infrared heat by way of 59 light and heat emitting bulbs. The device is hand held, battery operated, and simple to use. It has four frequency settings in order to achieve the best results. For such a fair price, it’s definitely worth trying out. The Bria Beam Facial Set combines a micro-vibe infrared LED device and specially formulated creams that help achieve tighter, smoother, and glowing skin. The applicator tip on the device gently massages the skin to stimulate cell growth as well as make the skin a better place for absorbing the creams. The device has a few different modes and the company suggests a 90 second rolling massage after an LED mode has been chosen. The Bria Beam Facial Set is being raved about online. Can you believe the price? This 250 Watt light bulb can be added to just about any at home lamp or light fixture, helping you create a Light Therapy treatment center in the comfort of your own home. The incandescent heat and light therapy bulb fits into a standard light socket and has a wavelength of 850 nanometers, which is ideal for healing. The light penetrates the skin leaving you with wonderful results if you struggle with aches and pains, medical conditions such as Firbomyalgia, Lyme Disease, herniated discs, bulging discs, pulled and strained muscles, and more. The light also boosts collagen and elastin, which help elimate fine lines and wrinkles. Maybe simply swapping a bulb could save you! This device is similar to some of the ones discussed above, but the price is just too good to not share it. The 7 Watt bulb in the Bilt-Rite Mastex Health Infrared Heat Unit provides infrared lighting and heat that can penetrate deep into the skin to treat a wide array of conditions. Being able to reach further than just the surface layer of the skin allows this product to create a comforting and soothing effect on the nerves. If this expensive device could make your pains go away, why wouldn’t you give it a shot? Blue light therapy is continually being proven effective in treating diverse conditions. The all mighty blue light is most known for treating cosmetic details such as acne, wrinkles scars, etc. But in recent years it has been treating cancer! Can you believe that? When combined with a specific solution, UV light has been proven to treat certain types of skin cancer. Blue light therapy is also used to treat mood disorders such as Seasonal Affective Disorder and Depression. Seasonal Affective Disorder is a form of depression that occurs during the fall and winter months when the seasonal changes tend to rule your brain. Blue light raises mood and energy levels and helps bring your mind back up to par. Blue light therapy treatments can be done at home in a doctor’s office. While it is important to speak with your doctor before starting any sort of treatment, at home treatments are typically the most common route. In office doctor session can tend to get expensive. This is why we created this list for you! Here are the Top 10 Blue Light Therapy Products Under $100. Are you ready to start shopping? The Philips GoLITE BLU Energy Light was created to boost energy levels and increase the overall happiness of people that just need a little nudge. The blue light is meant to have the same effect on the brain as a clear blue sky during the day. It is also as effective as a 10,000 lux white light, for just a fraction of the price. There are three light settings, it’s portable and it plugs into the wall. Just 20 to 30 minutes in front of this light and you’ll be ready to conquer the world. The IlluMask Acne Light Therapy Mask includes both blue and red light therapy and is intended to treat mild forms of acne. It’s hands free and easy to use. It’s also harm free due to the fact that there are no chemicals or UV rays used. The package includes a mask and 30 different forms of treatment. This mask has wonderful reviews and the price is great. Why wouldn’t you give it a shot? The NatureBright Sun Touch Plus Light and Ion Therapy Lamp uses 10,000 lux light therapy and negative ion therapy which is notable due to it’s price point. This lamp is intended to balances your body’s internal clock which is the main reason why Seasonal Affective Disorder exists. Once your mind and body are back on track you start to feel refreshed and energized. Ion therapy has also been proven effective when used as anti depressant and can show results in as little as three days. This lamp is recommended by the Columbia Department of Psychiatry and the New York State Psychiatry Institute. Not too bad, right? This skin care system includes three interchangeable heads. Whether you need red light, blue light, or green light to treat your skin, the LED Light Therapy Skin Care System from Bright Therapy has got you covered. This handheld device is cordless and only needs to be charged after each of your 30 minute treatments. It’s simple to use due to the clean interface with just two buttons and a 10 minute timer. The LEDS in the head last 10,000 hours, which essentially means they never burn out or need to be swapped. For just under $100 and being completely drug free, this Blue Light Therapy Device may be the one for you. Unlike most Blue Light Therapy devices, this product isn’t handheld and it won’t be held directly onto your skin. Instead, the RubyLux Red & Blue LED Bulb can be inserted into most lighting fixtures and lamp and boom! Simple as that, you’ve got a Blue Light Therapy lamp. The red bulbs are at wavelengths between 640 to 660 nanometers and the blue bulbs are at wavelengths between 400 to 415 nanometers. There are 38 LED bulbs in total and they are all closely packed together, creating a high power bulb. Because most of the bulb consists of red lighting, this lamp may not be ideal for mood disorders. Instead, this bulb was intended to treat cosmetic conditions and disorders. This is ideal for reducing inflammation from acne as well as treating skin conditions such as Rosacea and Psoriasis. Made by the same company as the bulb discussed above, the RubyLux All Blue LED bulb is a simple way to add Blue Light Therapy to your lifestyle. This bulb can be inserted into any light fixture, letting you experience Blue light therapy just about anywhere you choose. The bulb have blue wavelengths at 415 nanometers and is made with 38 small but high power LEDs. The LEDs are closely set together, giving you a power bulb with a tiny size. This bulb is ideal for treating skin conditions and mood disorders. For $19.99, why not give it a go?! This handheld device is top of the line and can help you achieve dermatologist results in the comfort of your home. The ReVive Light Therapy Essentials Acne Treatment System was developed using the same technology that NASA used to treat astronauts in space. It’s handheld, easy to use, and can treat acne, wrinkles, sore muscles, and more. The package includes a pain relief cream and anti aging solutions which are definitely worth trying! The NORLANYA Micro Vibration Photon Therapy device can be used to treat a wide array of conditions due to it’s three light options. Users can choose red light, blue light, or green light, depending on the condition. The blue light is used to reduce pimples and blemishes, decrease inflammation, clear scars, reduce oil, and improve sensitive skin and rashes. The vibration waves are small and gently, slowly and effectively treating your skin. The device is hand held, small, simple to use, and has an automatic off setting which is always a good idea. The Zadro Sunlight 365 Personal Artificial Sunlight Therapy lamp is perfect for anyone who’s been feeling in the dumps. This small and portable lamp has an LCD clock on the front which makes it’s the perfect bedside table addition. It also has a built in timer which helps you track your usage. Along with the light intensity adjustment options, this lamp is perfect for getting your body’s internal clock back in check. The Bluelight Portable SAD Therapy Light was made to treat Seasonal Affective Disorder. This new and modern device is completely programmable, letting you create your own treatment regimem. This option makes following a set schedule so easy! The lamp is made with 60 long lasting and eye safe LED lights with wavelengths between 470 to 475 nanometers. The battery can last for up to 8 treatment sessions and uses a rechargeable battery. Keep this lamp is the padded case it comes with and you’re ready to battle Seasonal Affective Disorder wherever you are! In the most recent years, when acne treatments are being discussed, the phrase light therapy is usually going to be thrown around. It may seem silly as first to some people. Light can treat my acne? You mean the sun? Oh I have to sit in front of a light? How could that work? It works, folks. It definitely works. Light therapy is being used to treat not just acne, but also a wide array of skin conditions and disorders. The all natural, chemical free, drug free therapy is breaking headlines everywhere. There are a few different forms of light that work to kill that confidence lowering acne that we all deal with. Red light therapy, blue light Therapy, and a combination of the two are all being used to kill acne causing bacteria in your pores, reduce inflammation, heal scars from previous breakouts, eliminate black heads, and more. Light therapy treatments for acne can be conducted in a doctor’s office or in the comfort of your own home. While the devices doctor’s use are going to be slightly more powerful and you will be supervised throughout the treatment, it often gets extremely expensive to visit a dermatologist each time you want to undergo light therapy treatments. This is why the world has begun to improve at home acne light therapy treatments. In order to get the best results, it’s important to speak with a doctor first, set a schedule for yourself, and fit the treatment into your routine. The easier it is to fit the treatment into your schedule, the better you will be about making it happen. It’s also important to keep an open mind. Light therapy treatments aren’t going to make you acne free and keep you that way in one night. Be patient, follow a schedule, and you’ll have the skin you’ve always dreamed of. Below is a list of the Top 10 Acne Light Therapy Products Under $100. You can use all of these devices in the comfort of your home, they don’t take up much space, and they won’t break the bank. What else could you ask for?! The NORLANYA Red Light Therapy Machine is perfect for killing that acne causing bacteria that lives in your pores and reducing inflammation. With wavelengths at 660 nanometers, this easy to use, handheld device is sure rejuvenate your skin. The device has two photon light therapy modes. You can choose continuous or pulse modes to find what works best for your skin. This device is cordless, easily rechargeable, and can fit in your carry on bag. The IlluMask Acne Light Therapy Mask was specially made for conveniently treating acne. The mask uses red and blue light to effectively treat mild cases of acne while also being easy to use and inexpensive. The mask is hands free, drug free, and chemical free. The device also comes with a packet that explains thirty different treatment options. The Project E Beauty LED 3 Color Photo-Rejuvenation Kit is similar to the skin care system discussed above but less expensive. This device has detachable heads which allow you to choose exactly what part of your skin you’d like to focus on. The red light head penetrates between 8-10mm, the blue light head penetrates at about .55mm and the green light head is a combination of red and blue. The Project E Beauty Kit also uses small vibrations to help treat the skin. For this price and all that comes with it, why isn’t this simple, handheld device in your shopping cart? The Yok Pollar Light Therapy Machine is not only great for rejuvenating the skin, reducing fine lines, and tightening the skin, but it’s also made for treating acne. This device uses wavelengths between 620 to 625 nanometers to help you receive dermatologist results right at home. The package is also cordless, easy to store, sits in a charging dock, and includes goggles to keep your eyes safe. The Helios Advanced LED Light Therapy System is a complete treatment system. This device gives you everything you need to treat your skin in a small package. The handheld wand has three detachable heads, red, blue, and green. Each light head attachment is precisely engineered with wavelengths between 415 to 660 nanometers to help you achieve the best possible results. The “blemish fighter” head, which you would use for acne treatments, uses blue LED lighting at 415 nanometers to dramatically reduce inflammation and kill acne causing bacteria in your pores. The device can cover a large area of the skin and has an auto-off option so that you can perfectly time your scheduled treatments. The Tanda Clear Professional Clearing Solution is small and handy, weighing in at just 12 ounces. This device aims to clear existing breakouts and help prevent any future ones. Patients simply press the orange power button and place the device on the affected area. The company claims that a three minute treatment session twice a day can clear your acne and keep it that way. This device is one of the simpler ones we’ve seen, making it a great option for light therapy beginners. The ReVive Light Therapy Skin Treatment is a handheld wand that penetrates deep into the skin to kill acne and the bacteria that causes it. The device is made for all skin types, even the sensitive ones! The light head consists of 40 LED blue light bulbs that help you start the journey to the skin you’ve always wanted in just a few days. The device should be used for a minimum of 3 minutes each day and used with goggles if the light is close to your eyes. This device is medical grade for just a fraction of the price! The ReVive Light Therapy Essentials Treatment is highly reviewed and can help you achieve dermatologist results in a short amount of the time. The best part? All your treatments are done in the comfort of your home. This handheld device is medical grade, handheld, and portable. It’s also safe for all skin types, drug free, and all natural. This OTC Class II Medical Device may just be the one for you. The Verilux Clearwave Phototherapy System For Acne painlessly destroys the bacteria in your pores that causes acne while keeping the surrounding tissue safe and harm free. This easy to use handheld device is rechargeable, portable, and sits in it’s own dock, making it the perfect addition to your bathroom counter. It was cleared by the FDA for the treatment of mild to moderate acne and it doing great at just that. When applied to affected areas, the device detects contact with the skin and and applies a powerful and effective blue light for a three minute treatment session. The light head is precisely engineered, applying the correct amount of wavelengths to treat your acne while keeping your skin healthy and out of harm’s way. Light Therapy is all the rave right now. It’s all natural, drug free, chemical free and harm free. It’s being used to treat acne, rejuvenate skin, treat cancer, treat all different forms of depression, treat skin conditions, cure hair loss, and so much more! The biggest factor when it comes to any sort of medical treatment is convenience. If the treatment does not easily fit into your schedule, it’s very common to not give it the chance it deserves. In order to get the best results for light therapy treatments, patients need to set a schedule for themselves and be sure to follow it. In order for this to happen, the treatment has to work with the patient’s daily routine. Many people travel, right? Whether it’s for work, pleasure, family, friends, etc. However, traveling quite frequently while also following a medical treatment plan can be difficult. This is why finding the right Light Therapy product is so important. If you’re a traveler and looking to add Light Therapy to your lifestyle, this list is for you. We have created a list of the Top 5 Light Therapy Products For Travelers Under $100. Our list is succinct and accurate, helping you find the perfect product. These devices are easy to pack in your carry on, can be used just about anywhere, and they won’t empty your wallet. You’re welcome! The Nature Bright Sun Bliss 2 in 1 Portable Light Therapy & Wake-Up Light is perfect for the traveler who needs a little help keeping their circadian rhythm in check. This light is made with a 10,000 lux bright light which is meant to mimic the sun no matter what time of day it is. It can be used as a simple light box that you spend some time in front of to raise your energy levels or you can use it as an alarm clock. Set the time you’d like to start waking up and the light will slowly start to turn on, mimicking the sunrise and keeping your mind’s internal clock in check. The Nature Bright Sun Bliss Light is light weight and portable, weighing in at only 15.5 ounces and 1.2 inches in height. The Zadro Sunlight 365 was specially designed for the winter blues traveler. This light consists of 35 blue LEDs and has 10,000 lux of light which is quite impressive considering the size. The light is adjustable from 0 to 100% and has a small panel on the front that shows the time and other optionable settings. This light is plastic, small, and portable, making it a necessary addition to your carry on bag. This lamp is on sale! You better add it to your cart quick! The Verilux Happy Light Liberty 5K Natural Spectrum Energy Lamp is only about 6″x7″x3″ which makes it perfect for your office, desk or hotel room. It’s plastic and portable, making it easy to fit in your suitcase or briefcase. It emits 5000 lux which is ideal for mild to moderate cases of Seasonal Affective Disorder, depression, jet lag, shift changes, insomnia, and more. This lamp may be small but it sure is mighty. The LED Light Therapy Skin System for Beautiful Skin uses multiple forms of light therapy to target skin conditions such as acne, wrinkles, scars, inflammation, psoriasis, Rosacea, and more. This skin care package includes three detachable light heads which can be changed according to what your skin requires. The device is hand held, cordless when in use and charges with the included cord. The device is aimed to give you a 30 minute treatment per charge and has a built in timer to let you know when your treatments are finished. Treatments are usually 10 minutes long. The device is only 5.6 ounces and 2 inches long, making it easy to continue your skin treatments while traveling. How often do you get to treat your acne on the go? This device makes it possible. The ReVive Light Therapy Skin Treatment is a handheld wand that penetrates deep into the skin to kill acne and the bacteria that causes it. The device is made for all skin types, even the sensitive ones! The light head consists of 40 LED blue light bulbs which makes this device a bang for the buck! The device should be used for a minimum of 3 minutes each day and used with goggles if the light is close to your eyes. The ReVive Light Therapy Skin Treatment device is small, portable, and will fit nicely in your toiletry bag while you travel. Continue your treatment on the go! It’ll be worth it. Light Therapy is being used to help treat depression all over the world. Many people struggle with Seasonal Affective Disorder, which is a form of depression that occurs annually during the fall and winter months. Due to the fact that there is little to no sun during these months and the time changes make it difficult to keep track of what time of the day it is, it is easy for depression to settle in. For people that struggle with depression regardless of the time of year, Light Therapy has also been proven effective. Light has the power to lift energy levels, making it easier to live with depression. Also, typically depression and insomnia go hand in hand. Light Therapy helps keep the brain’s internal clock in check which can help fight insomnia. Waking up to “sunlight” in your room can awake you in the right mood and remind your body that it is time to wake up and get the day started. Whether you’re struggling with Seasonal Affective Disorder, depression, insomnia, or any other disorder that’s got you down, Light Therapy might be the right path for you. A simple light box that you leave on your desk may flip your life around. Spending as little as thirty minutes in front of a light box while you read, work, eat, write, or knit may be what you need to feel like yourself again. We know that many people struggle with all different forms of depression and we know that time, money, and convenience all play a role in our treatment options. This is why we made a list for you. Below you will find the Top Ten Light Therapy Products For Depression Under $100. These products are highly reviewed, easy to use, and inexpensive. If your mood could be bumped up a few notches and your space is limited, this is the light therapy lamp for you. The Sphere Gadget Technologies Lightphoria 10,000 Lux Energy Lamp is not only portable and sleek, it’s also well made and sturdy. It emits 10,000 Lux of light energy and is made with 72 energy efficient LEDs that consume 7.2 watts. This is impressive considering it’s size. The lamp has options for different intensity levels and a timer that can be set for 15, 30, or 45 minutes. The NatureBright Sun Touch Plus Light and Ion Therapy Lamp uses 10,000 lux light therapy and negative ion therapy which is worth pointing out after seeing it’s price point. This lamp was created to balances your body’s internal clock which is the main reason why Seasonal Affective Disorder exists. Once your mind and body are back on track you start to feel refreshed, energized and youthful. Ion therapy has also been proven effective when used as anti depressant and can show results in as little as three days. This lamp is recommended by the Columbia Department of Psychiatry and the New York State Psychiatry Institute. Definitely a product you should add to your cart! A dawn/dusk simulator is necessary for anyone struggling with Seasonal Affective Disorder, depression, insomnia, or jet lag. The Philips Wake-Up Light is intended to be an all natural and highly effective alarm clock. Instead of blasting a loud alarm in your ear to wake you up in the morning, this Light Therapy device slowly begins to mimic an outdoor sunrise when it reaches the time you set it to. The purpose is to awake you naturally, leaving you refreshed, energized, and ready for the day. There are also 10 light settings, a snooze option, and an alarm beeping option in case you sleep through the light. Light Therapy Lamps are intended to improve your mood and outlook naturally, drug free, and harm free. The Verilux VT10WW1 HappyLight Liberty Personal Portable Natural Spectrum Energy Lamp is highly reviewed and trusted for doing just that. The LED light panel on the lamp is only 8″ in height and width and it emits 5,000 lux of light energy. This is a moderate output range, making this lamp ideal for mild to moderate cases of Seasonal Affective Disorder and other forms of depression. The size and intensity of the lamp make it perfect for desk, office, and travel use. The Aura Light Therapy Lamp is sleek, modern, and highly reviewed. This lamp emits 10,000 lux of light energy and has a 6 inch photopic measurement. This lamp is a must have for anyone dealing with the winter blues. The company recommends performing light therapy treatments as early as possible in the morning and credits itself for being highly effective in lifting moods, stabilizing energy levels, and treating depression. The high number of happy reviewers on Amazon agree too! The Nature Bright Sun Bliss 2 in 1 Portable Light Therapy & Wake-Up Light is perfect for someone who needs a little help keeping their circadian rhythm in check. This light is made with a 10,000 lux bright light which is meant to mimic the sun no matter what time of day it is. It can be used as a simple light box that you spend some time in front of to raise your energy levels or you can use it as an alarm clock. Set the time you’d like to start waking up and the light will slowly start to turn on, mimicking the sunrise and keeping your mind’s internal clock in check. The Nature Bright Sun Bliss Light is light weight and portable, weighing in at only 15.5 ounces and 1.2 inches in height. This lamp is perfect for your desktop, bedside table, or carry on bag! This sunrise and sunset simulator is a little different than most. The Lighten Up! Model 308 Sunrise Simulator actually does not include a lamp. Instead, this device plugs into the light source of your choice, turning it into a simulator. With this device you can control your own lamp and have it on a specific timer, staying in tune with the outdoor light, thus keeping your internal body clock in check. This simulator is perfect for helping treat seasonal depression, jet lag, insomnia, and more. For people who live in areas that deal with long periods of darkness, for example Alaska in the winter, this simulator can help your body remember what time it is and where your brain should be at at that time. This simulator is very well priced and the fact that you can control just about eveything about it including the light source isn’t too bad either. The Zadro Sunlight 365 was specially designed for the winter blues victim on the go. This light consists of 35 blue LEDs and has 10,000 lux of light which is quite impressive considering the size. The light is adjustable from 0 to 100% and has a small panel on the front that shows the time and other optionable settings. This Light Therapy lamp is plastic, small, and portable, making it a necessary addition to your carry on bag. Okay, we’ll admit it. This lamp isn’t too different from all the other ones we’ve discussed. But when a light is this powerful and this cheap, it’s worth pointing out! The Verilux VT15WW1 Happy Light Liberty 7,500 Lux Energy Lamp emits 7,500 lux light energy at an 8 inch photopic measurement. It’s also UV free, flicker free, and small enough to put on your desk, but not small enough to not give you the power you need to fight the blues. HappyLight has been making Light Therapy devices since 1956 and all of their devices are worth your hard earned money. We promise! Yes, this is another light therapy box, and yes, this one is more expensive. But didn’t your parents ever tell you “you get what you pay for!” The Hammacher Schlemmer Desktop Light Therapy Lamp is sleak, clean, and effective. The lamp is equipped with 10,000 LUX of daylight spectrum light, which is rare for a product of its size. The high level of light being emitted is perfect for counteracting seasonal depression, seasonal change, jet lag, and more. Spending just 30 minutes a day in front of this light therapy lamp can help stop the release of melatonin in your brain. Melatonin is a sleep hormone and when it is stopped from being released throughout the day, you will find yourself with a much higher energy level from sun up to sun down. The Hammacher Schlemmer Desktop Light Therapy Lamp uses a 36 watt bulb rated for 10,000 hours. It also includes an electronic ballast to stop buzzing while operating and flicker elimination technology. 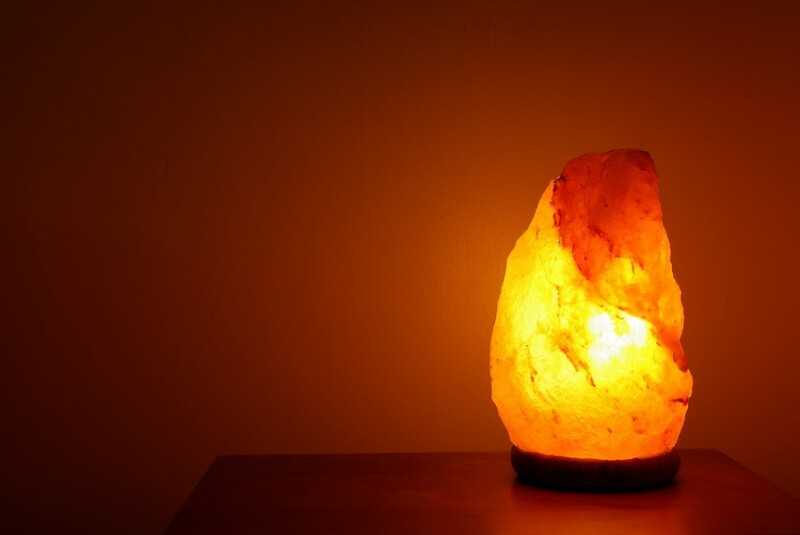 This light therapy lamp definitely needs to be added to your cart! There are a crazy amount of Light Therapy Products out there. Go to Amazon, type in “Light Therapy” and just wait to feel overwhelmed. It’ll happen fast. So how do you weed out the good ones? Which products can be trusted? And most importantly, which products won’t empty out your wallet?! No need to worry. We’ve got you covered. We are going to share the 10 best light therapy products for under $100! Our results are based off of the products review scores and the actual details of the reviews, leaving you with the best possible results. Our list is not in chronological order, so please keep that in mind while reading. This sunrise and sunset simulator mimics the outdoor light and it’s timing with the day. You can set an alarm for the simulator to turn itself on and off in tune with your brain’s internal clock. For example, set the alarm to occur every day at 8 o’clock in the morning. The simulator will begin to mimic the sunrise inside your bedroom. This allows you to feel rested and ready for the day, waking up with the sun. Same goes for sunset. The “sun” can slowly begin to set as your day begins to wind down. This product is highly rated and reviewed, having proved over and over to help keep your internal clock in check. Most commonly used for Seasonal Affective Disorder, or Seasonal Depression, this light therapy box is top of the line and a good price point. The device is simple, easy to use, and small. A small light therapy box can have its pros and cons, but the most common pro would have to be the portability. You can use this box on your desk at work, on your counter while you’re cooking, next to your bed while you read, and so much more. Keep your mood up and your space free! This light therapy wand is essential to your beauty and skin regiment. The Norlanya Micro Vibration Photon Therapy Device gives you all of the options you need to perfect your skin. Red light, blue light, green light, basic LED lighting, or combinations of any of these and you’re on your way to glowing skin. The wand helps tighten the skin on your face, reduce wrinkles, and clear acne. It is compact, easy to use, and extremely effective. It has built in alarms to let you know when your treatments are finished, which is essential if you care about your skin. For less than $60, this hand held device is a total snag. Somewhat similar to the product discussed above, the ReVive Clinic 4 Light Therapy System is hand held and specifically targets acne. This product is at a slightly higher price point even though it uses only blue light. The higher price point is due to the higher quality of the product. No, you cannot combine different lights for different uses and so on, but you can really get down and dirty with that pesty acne that just won’t go away. The ReVive Clinic 4 uses blue light to kill the bacteria living in your skin which helps diminish acne and other blemishes. Using this simple, hand held device on a regular schedule can help keep your acne under control. Similar to the Norlanya Micro Vibration Photon Therapy Device, this light therapy package uses multiple forms of light therapy to target skin conditions. As you’ll see, the LED Light Therapy Skin Care System is at a slightly higher price point. The reason being, you get more for your buck. This skin care package includes three detachable light heads which can be changed according to what your skin requires. The device is hand held, cordless when in use and charges with the included cord. The device is aimed to give you a 30 minute treatment per charge and has a built in timer to let you know when your treatments, which are typically 10 minutes long, are finished. The LED Light Therapy Skin Care System has wonderful reviews when it comes to killing acne causing bacteria, tightening the skin on your face and body, as well as reducing fine lines and wrinkles. The light therapy box is perfect for people who are always on the go or spend most of their day in an office setting. The Verilux VT10WW1 Happy Light Energy Lamp is compact and portable, making it easy to pack into a briefcase or suitcase. Or if you’re often at a desk, this lamp can live on her counter space, without occupying much room. This box emits 5000 LUX, which is definitely remarkable considering it’s size. 5000 LUX is the perfect amount of light to be emitted for short daily treatments to help cure your seasonal depression, jet lag, low mood levels, insomnia, and more. The lamp is also 50% as powerful as other lamps that are up to 10 times it’s size. That price point isn’t too bad either! Red Light Therapy has been recognized for awhile now as a great option for pain management and holistic wound healing. The Infrared LED Light Therapy Pad is a compact and simple pad that can wrap onto areas of your body that need healing. This pad can help with joint and muscle pain, chronic pain, wound healing, Arthritis, Carpal Tunnel Syndrome, and so much more. If your body is aching, this pad is the way to go. It’s complete with 36 high output 880 nanometer LED bulbs and a power adapter with a detachable plug. This light therapy pad is definitely a bargain according to it’s high four star rating on Amazon. Yes, this is another light therapy box, and yes, this one is more expensive. But didn’t your parents ever tell you “you get what you pay for!” The Hammacher Schlemmer Desktop Light Therapy Lamp is sleak, clean, and effective. The lamp is equipped with 10,000 LUX of daylight spectrum light, which is rare for a product of its size. The high level of light being emitted is perfect for counteracting seasonal depression, seasonal change, jet lag, and more. Spending just 30 minutes a day in front of this light therapy lamp can help stop the release of melatonin in your brain. Melatonin is a sleep hormone and when it is stopped from being released throughout the day, you will find yourself with a much higher energy level from sun up to sun down. The Hammacher Schlemmer Desktop Light Therapy Lamp uses a 36 watt bulb rated for 10,000 hours. It also includes an electronic ballast to stop buzzing while operating and flicker elimination technology. This light therapy lamp definitely needs to be added to your cart. Similar to the red light therapy pad discussed above, this device is ideal if you’re struggling with joint and muscle pains, wounds, aching muscles, Arthritis, and much much more. However, differing from the light therapy pad, the ReVive Ligh Therapy Pain System is handheld, letting you reach different places. It’s also slightly more intricate. This device uses 60 LED lights fifty six 880 nanometer infrared and four 669 nanometer red to safely and effectively deliver infrared heat. LED lights of this capacity have been known to penetrate deep into the skin to effectively relieve pains and ailments. This device actually reaches the tissue in your body, treating more than just surface level pain. The ReVive Light Therapy Pain System is highly ranked and very well reviewed.